You can find our Clothing and Gunroom departments located at No 18. Widemarsh Street, Hereford. This particular part of the business may seem fairly new to some people, however Philip Morris and Son have been retailing country clothing to the people of Herefordshire for over 40 years. Originally both departments were located in the Old Gunroom (which is now off limits to the public), where a very narrow range of Barbour jackets and guns were sold. It wasn’t until 2007 that our current clothing and Gunrooom shop opened its doors to the public. We only stock brands that we believe in and that have proven a track record. We are proud to be associated with the brands that we stock, which is why you’ll find names like Barbour, Musto, Le Chameau, Dubarry, and many more in our store. Mark has worked for the company since he was 16 years old; he is one of the most highly regarded and recognisable figures here. His dedication to the company is staggering (he even pops in on his day off!). When it comes to field sports Mark’s knowledge is untouchable; he has years of shooting experience under his belt. There’s nothing Mark enjoys more than selling customers the equipment they need for years of enjoyment in the shooting field. Colin has been employed within the gun trade since 1963 and has decades of experience. 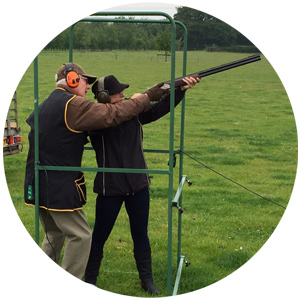 His love for field sports led him to open up his very own shooting ground where he would spend his days teaching both beginners and experienced shooters. 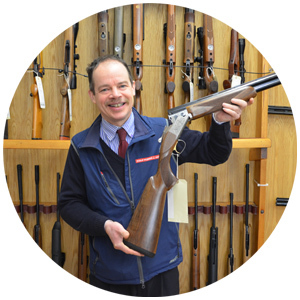 What Colin loves most about his job is the people; he thoroughly enjoys sharing stories and experiences with customers who have a fondness for shooting. James started working for Philip Morris and Son after he graduated from Hereford Cathedral Sixth Form 2 years ago. James has always been extremely enthusiastic when it comes to firearms. 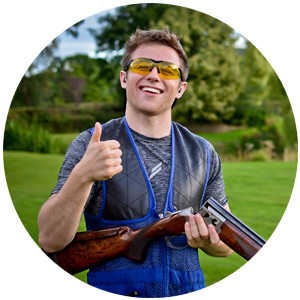 His vast knowledge of shooting and the workings of firearms has allowed James to take his hobby to the next level – he is currently training to be a gunsmith! When not at work or out shooting you can usually find him at home with his head stuck under the bonnet of his car! Zoe has over a decade of experience working with Philip Morris and Son. She is a font of all clothing knowledge and never fails to impress us with her product knowledge. If you have a question about a certain garment’s style or colour (even from years past! ), Zoe is sure to know the answer. She loves nothing more than curling up with a good book in the comfort of her own home. 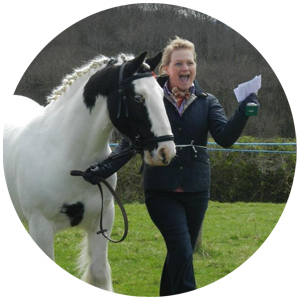 Judith comes from a very theatrical and artistic background; for 20 years she taught dance & amateur dramatics. 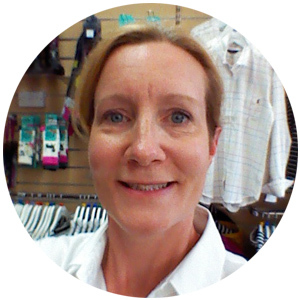 Judith has worked in fashion retail for 25+ years (one being at Philip Morris! ), meaning that she has a keen eye for what’s on trend and what’s not. If you are an avid theatre goer then you may recognise her, as you can often find Judith performing on the Hereford Courtyard’s stage dancing the night away. Barbara is a country girl through and through; she has a huge passion for all things rural. Not only does Barbara work at Philip Morris and Son, she also lives on a charming farm with her husband and two kids (along with her show competing chickens). 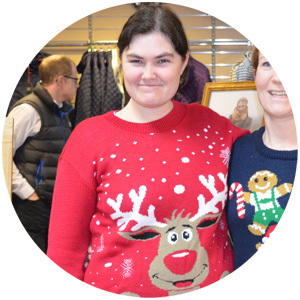 Thanks to her rural knowledge and awareness Barbara is a pro when it comes to advising our customers on what can and cannot be worn on the farm. Alan Paine, barbour, clothing, Country Clothing, Field Sports, Gunroom, Harkila, hereford, Herefordshire, hunter, Joules, Le Chameau, Meet The Team, Musto, R.M Williams, Seeland, shooting. Bookmark.